As promised during Apple’s third quarter earnings call back in August, Apple Pay today expanded to Finland, Denmark, Sweden, and United Arab Emirates. Debit and credit cards from participating banks can now be added to the Wallet app in each country and can be used to make purchases wherever NFC-based contactless payments are accepted. Apple Pay also works within apps and on the web in countries where Apple Pay is available. In Denmark, Jyske Bank (Visa debit cards only) and Nordea are supporting Apple Pay. 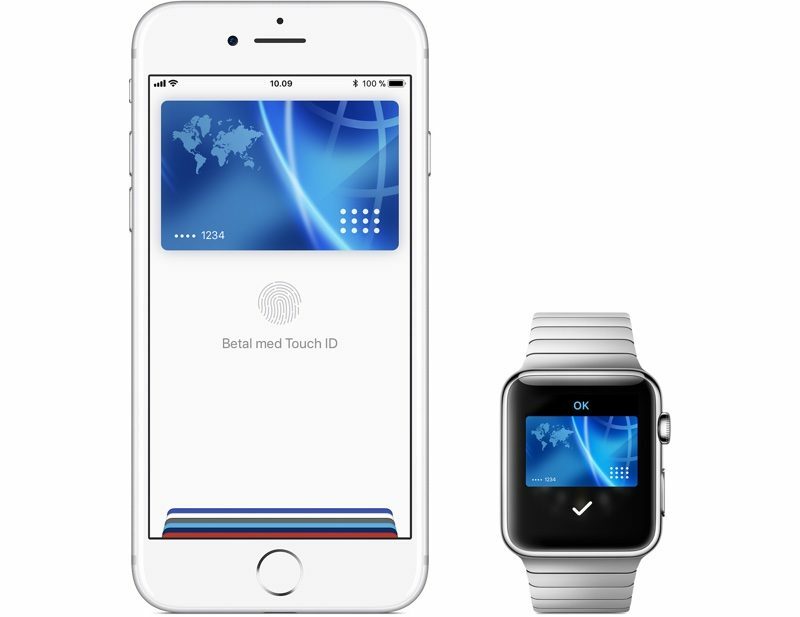 In Finland and Sweden, Apple Pay can be used with debit and credit cards from Nordea and ST1. Edenred and N26 support will be coming soon to Finland, while Ticket Rikskuponger will support Apple Pay in Sweden in the near future. Dozens of locations in each country offer support for Apple Pay payments, with an official list available on Apple’s Apple Pay website: Denmark, Sweden, Finland, and UAE. Following the launch of Apple Pay in Finland, Sweden, Denmark, and UAE, Apple Pay is available in 20 markets. Apple Pay may also soon launch in the Netherlands, Poland, Norway, and Germany, based on rumors or hints of the feature that have been spotted on Apple’s site, but Apple has not yet confirmed Apple Pay is coming to those countries, nor provided details on when. Apple Pay in stores is available on the iPhone 6, iPhone 6s, iPhone 6 Plus, iPhone 6s Plus, iPhone 7, iPhone 7 Plus, iPhone 8, iPhone 8 Plus, iPhone SE, and all Apple Watch models. Apple Pay on the web and in apps is available on all of the above listed devices along with the iPad Air 2, iPad mini 3, iPad mini 4, and all iPad Pro models.